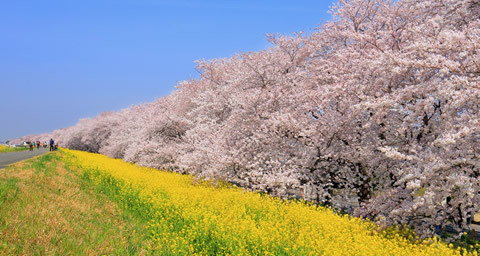 Lies in the north of Saitama prefecture in greater Tokyo, Kumagaya City has a 2km-long riverbank with 500 of large cherry trees, has been selected as one of the best 100 Sakura viewing spots in Japan. The best season is the end of March to the beginning of April. The canola flower field along the bank also attracts visitors during the season. Though most large Sakura viewing spots in greater Tokyo are rather far from train stations, this riverbank is just 5 minutes walk from JR Kumagaya Station, reachable by Joetsu/Hokuriku Shinkansen Bullet Train and regular trains. 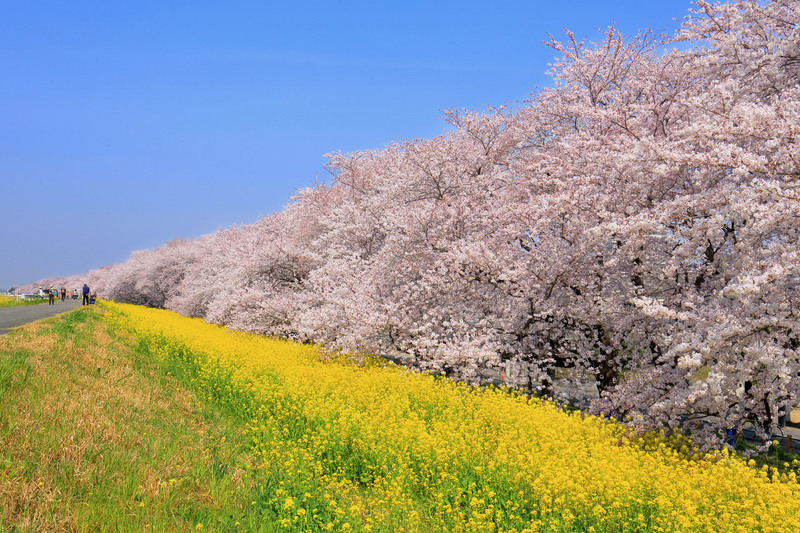 If you take a trip from Tokyo to a travel destination; Karuizawa, Kusatsu or those famous resorts, stopping by at Kumagaya on the way there will give you a chance to see the stunning view of the Sakura and canola flowers. * It seems the canola flower in this year 2019 is not much growing well due to less rain in winter. In spring 2019, a special event will also take place at a temple in Kumagaya - The door-opening and showing of hidden treasure for the first time in 23 years. Menuma Shodenzan Kankiin ("Shodenzan" in short), a historic temple celebrating its 840th anniversary in 2019, opens the door of Zushi altar case where the hidden-away-from-view statue has been treasured. The door-opening is from April 16th to 22nd 2019, a bit late in the Sakura season. Even if you miss the door-opening, it is still worth visiting the temple. 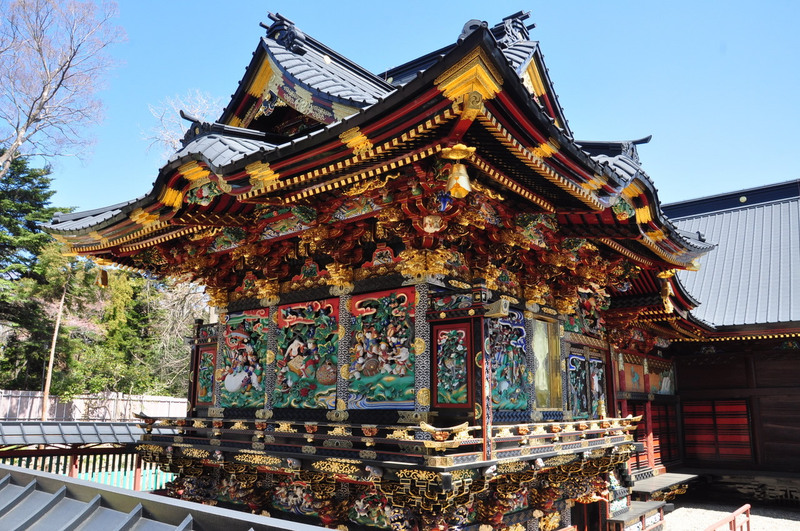 TheShodenzan enshrines the god of joy and matchmaking, is known for its exquisite wooden curve decoration of the temple building listed as a National Treasure of Japan. From Tokyo Station, take the Ueno-Tokyo Line 上野東京ライン bound for Takasaki, then, get off at JR Kumagaya Station JR熊谷駅 (About 75-min ride). 5-min walk from the Kumagaya Station (South Exit). Take the Joetsu or Hokuriku Shinkansen Bullet train, then get off at JR Kumagaya Station JR熊谷駅 (About 40-min ride). 5-min walk from the Kumagaya Station (South Exit). 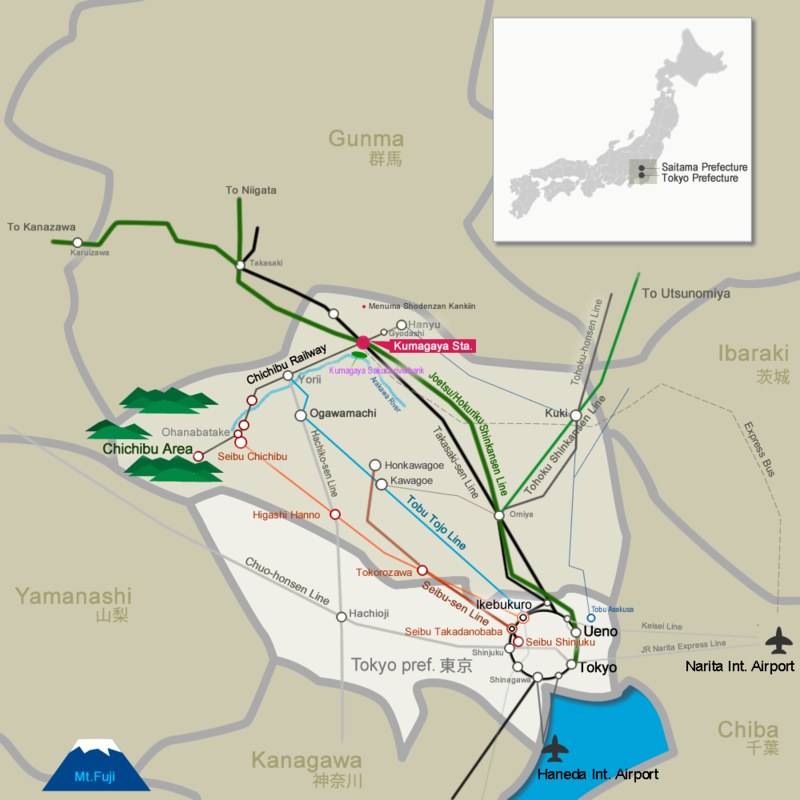 If you have a JAPAN RAIL PASS, it should be better to take the bullet train. The bullet train is quicker but costs almost 3 times higher than the regular fare. 1-min walk from the bus stop.